President Joko “Jokowi” Widodo has said that fast economic growth in countries bordering the Indian Ocean could turn the region into an economic force to be reckoned with. Jokowi said East Africa, the Middle East, South Asia, Southeast Asia and Australia had shown robust growth amid a slowdown in the global economy. “We believe the Indian Ocean is growing to be a key region in the world economy. 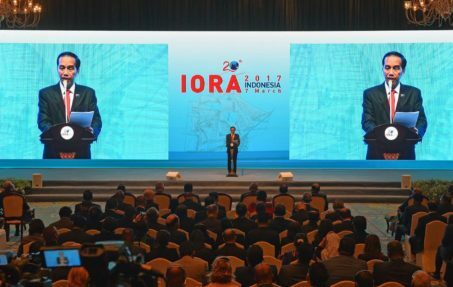 For a thousand years, the Atlantic Ocean has dominated the world,” Jokowi said during his opening speech at the Indian Ocean Rim Association (IORA) leaders’ summit in Jakarta on Tuesday. He further explained that East Africa’s GDP was growing at a rate of 6 percent, while that of South and Southeast Asia was soaring at 7 and 5 percent, respectively, and Australia’s at 3 percent. However, to become the next economic power, the President said, the IORA member countries had to solve their problems, including economic disparities between developing countries and the least developed countries. “The IORA community is unique. It is rich, but at the same time pockets of poverty still exist. We have to admit that we need modernization in a lot of aspects,” he said. The IORA leaders’ summit is the first after the organization was established in 1997. Previous meetings of the group of 21 countries were only attended by officials at the ministerial level. 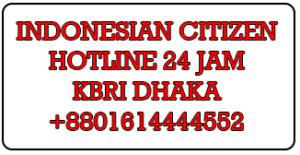 Indonesia hosted IORA meetings in Padang in 2015 and in Bali in 2016. IORA members comprise South Africa, Australia, Bangladesh, Comoro, India, Indonesia, Iran, Kenya, Madagascar, Malaysia, Mauritius, Mozambique, Oman, the United Arab Emirates, the Seychelles, Singapore, Somalia, Sri Lanka, Tanzania, Thailand and Yemen. The seven dialogue partners are China, France, Japan, the United States, Egypt, Germany and the United Kingdom.